Nature's Call – Tiger Killing A Youth In the Delhi Zoo Recently. Nature’s Call – Tiger Killing A Youth In the Delhi Zoo Recently. 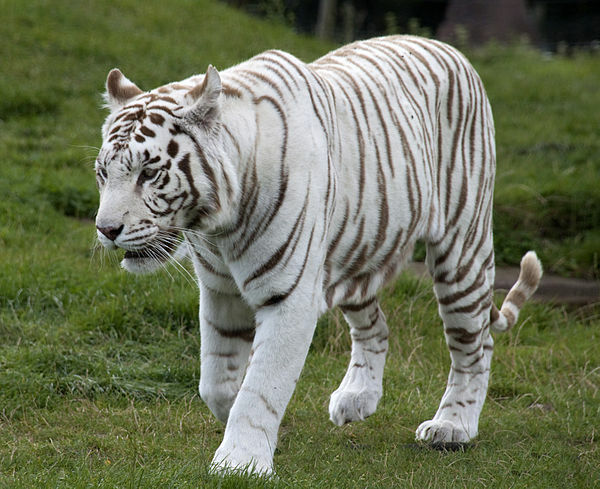 It was incredible that a white tiger in Delhi, (India) zoo mauled and killed a man recently. The man had fallen accidentally from the grill and railing fence into the segregation of the dry canal with no water in it. Later on, the zoo authorities blamed the man to be mentally ill for the mishap. Here below is YouTube video showing details. Although very tragic, it is natural the man in this video got what he deserved, the tiger is in the right in this video, not the wrong. And you if you want to go kill the cat in this video, it is hoped you are its dinner. When animal attack, it is the extreme conditions that compel it to do so. Caging or restricting animals is not right, it’s not about whether you will need to use these skills or not. It’s getting back to your roots. At some point in history, our ancestors needed to do this. Sometimes its cool to see what the human body is capable of, what you’re body could achieve. Its about being one with your original nature and living out life the way you were meant to. We are not meant to sit on the couch and eat fast food, we are not meant to write essays and do classroom learning. Humans are made to run, to grab, to make tools, to catch animals with our wits and reflexes. We should interact with nature, not just say “oh that’s nice” and then just sit around, we need to mend our ways. We humans need to change and go back to the nature, to be happier and healthier.